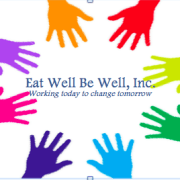 Eat Well Be Well (EWBW) is a nonprofit organization, organized in 2017 focused on helping make the world around us a better, happier place. With the help of our tireless staff, we provide access to programs and support to children, elderly, and homeless within the Hampton Roads Community. Currently we are providing healthy meals through the summer 2018 months to children 18 years and younger! Would you recommend EAT WELL BE WELL? Great program, it is well-needed in the communities. It is admirable and humbling when young people rise to the occasion when there is a need in our communities. The sponsors were very professional and prompt in assisting volunteers with anything needed to support the children.